In genealogy, the last will and testament is a fundamental record. It generally names an individual’s spouse, children, and sometimes other relatives and friends. Unfortunately, many more people die intestate (without will) than testate (with will)—forcing genealogists to search for other types of evidence to prove familial relationships. So, what is the next best thing to a last will and testament? In the case of the Newsom family (and many others), the answer is estate distributions. These generated court records describing the estate of a deceased individual and naming each heir entitled to a portion of it. Estate distributions frequently spanned years and sometimes multiple generations, often proving relationships between people who were not even alive at the same time. In my journey to identify the parents of the Camden Newsoms, I have relied heavily on estate distributions stemming from the patriarch, Moses Newsom. Moses Newsom (b. 1735) died in November 1805. His September 1805 will left a parcel of land on the Little Swamp in Northampton County near the Roanoke River to his wife Winnifred Newsom. He left one dollar to George Artist and his heirs and one dollar to the heirs of his daughter Tabitha Cumbo (Jinny Cumbo, Henry Cumbo, and John Cumbo). Moses left his cooping tools to his son Henry Newsom and forty shillings Virginia money to his son James Newsom. He left the remainder of his estate to be divided equally between each of his children (except those mentioned) by his son Nathaniel Newsom (his executor). In November 1805, promptly after Moses Newsom’s will proved, Winnifred Newsom filed a petition with the court stating that her late husband did not provide for her in his will. She added that Moses “in order to defeat your petitioner of her just right of dower fraudulently, covenously, and surreptitiously granted and conveyed all his real estate to his infant sons James and Henry.” The land that Winnifred wanted apportioned for her dower was described as 600 acres in Northampton County on Kirby Creek, Angelica Branch, meted and bounded by the land of Exum Hollimon and Nathaniel Newsom. Nathan Newsom, an adult brother of James and Henry Newsom, was appointed guardian of the two minors pro hac vice (for or on this occasion only) so that the case could be settled. In September 1805, Moses Newsom “sold” a 200 acre parcel of land to his son Henry Newsom for 10 shillings. The land was bounded by the Horse Branch, the Angelico Branch, and Exum Hollamon’s land (Northampton County, NC, Deed Book 13, Page 116). In September 1805, Moses Newsom also “sold” a 200 acre parcel of land to his son James Newsom for 10 shillings. The land was bounded by the Horse Branch, the Angelico Branch, and Exum Hollamon’s land (Northampton County, NC, Deed Book 13, Page 120). It does not appear that Winnifred is the mother of any of the Newsom children. She married Moses late in life and they both died after about ten years of marriage. Nathaniel, as executor of Moses Newsom’s will, and Nathan, as appointed guardian of Henry and James Newsom, were both adults when their brothers were minors. It is possible that Nathaniel and Nathan had a different mother than Henry and James. It is also possible that the other unnamed children who were to receive the residue of Moses Newsom’s estate were born of previous marriage(s). In the early 1800s, Henry and James Newsom—along with many other free families of color from Northampton County, NC—moved to Ohio1. 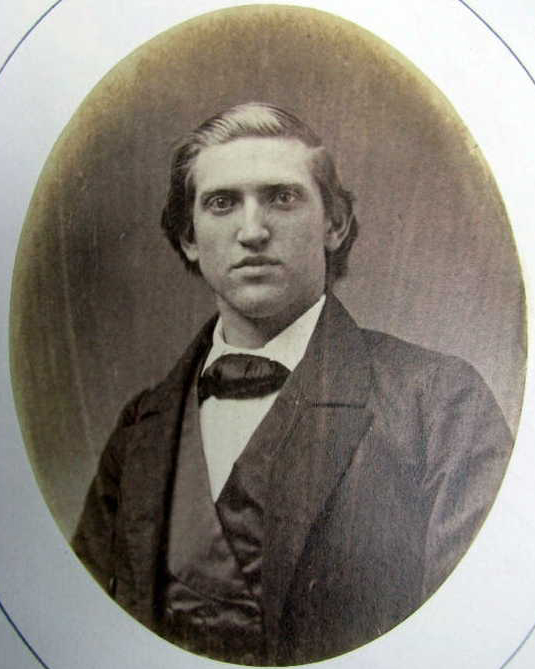 Henry Newsom, documented as Logan County’s first settler of color2, purchased his land from the Marmons who were members of the Society of Friends and active abolitionists. While Henry’s land was located in Logan County and Mercer County his brother James’ land was located in the neighboring counties of Champaign, Delaware, and Union. When Henry and James moved to Ohio some of their siblings remained in North Carolina and their brother Nathan moved to Pennsylvania. In the mid 1820s, James Newsom died intestate in Champaign County without a living wife or child to inherit his estate. This led to his brother, Henry, being named as his administrator to oversee the equal distribution of his estate between his living siblings and the heirs of his deceased siblings. The subsequent cases are of great genealogical value because they identify the children, grandchildren, and even some great grandchildren of Moses Newsom (information that would rarely if ever be included in a will). The court ordered the sheriff of Champaign County, at the time Frederick Ambrose, to sell James Newsoms’ land which included 200 acres of land in Champaign County (part of the 1100 acre tract of land that was Military Survey Number 4814 in Rush Township) and four lots (numbers 12, 17, 30, and 34) in the town of Milford of Union County (formerly part of Delaware County). The lots in Milford sold within a year but the land in Champaign remained on the market for several years—including a sale and foreclosure that drew the case out even longer. In October 1838, Jason Hicks was appointed special commissioner to receive the distributive share of money from the sale of James Newsom’s land on behalf of John and Henry Cumbo (heirs of Tabitha Cumbo) whose state of residence was unknown. John Newsom, their brother-in-law, was the security. In October 1840, Peter Byrd was appointed special commissioner to receive the distributive share on behalf of Nathan Newsom who was living in Philadelphia, PA at the time. Before there was full resolution to the distribution of James Newsom’s estate, Henry Newsom died in October 1841. He named his son Nathan Newsom and family friend Joshua Marmon (an experienced trustee) as executors of his will but Nathan declined to act in the role so Joshua was left as the sole executor. Given that many of the descendants of Moses Newsom had relocated to Ohio, some difficulties arose in the distribution of land and money to heirs who were out of state. Furthermore, Henry Newsom—the administrator of James Newsom’s remaining estate distribution—was now deceased so the responsibility for these unsettled matters shifted to Joshua Marmon. Henry Newsom Appointed Administrator of James Newsom’s Estate, August 1834. Angus Clark, a tenant on James Newsom’s land, agreed to buy the 200 acre parcel he was living on in Champaign County for $100 and then foreclosed on the mortgage in 1839. In April 1847, Michael (also known as Micajah) Ran—the widow of James Newsom’s sister Chloe Ran—filed a suit against Joshua Marmon—Henry Newsom’s administrator. In the suit Michael indicated that Henry Newsom—James Newsom’s administrator—agreed to collect Chloe’s portion of James Newsom’s estate while she was out of state (in Halifax County, NC). This would negate the need for the out-of-state resident security Chloe would have had to pay to collect her inheritance. Before the money could be transferred to Chloe, both Chloe and Henry Newsom died. Michael argued that he was entitled to receive the inheritance owed to his deceased wife. The details of this case spanned 22 pages and ultimately set a legal precedent in Ohio for out-of-state resident securities in chancery law. The court ruled in Michael Ran’s favor but it is unclear who—if anyone—ever collected Chloe Ran’s inheritance. Nonetheless, it is clear that other out-of-state heirs of James Newsom benefited from Michael Ran’s legal action. After the July 1848 ruling other heirs came forward. In April 1854, the heirs of of Joel Newsom filed a suit against Abraham Colwell for their father’s portion of James Newsom’s estate. Abraham Colwell was the master of chancery in Champaign County at the time of Michael Ran’s supreme court case and—like the Rans—the heirs of Joel Newsom were all living in North Carolina and authorized Henry Newsom as power of attorney to receive their portion of the money collected from the sale of James Newsom’s land until it could be collected in person. Joel Newsom, Jr. & Other Heirs of Joel Newsom, Sr. vs. Abraham Colwell, Champaign County, OH, April 1854. They were awarded six years of interest (dating back to 1848) when the error occurred. When I began this search, I seriously struggled with finding the right place to point the magnifying glass. Which details were important? Which details were irrelevant? After collecting countless records from multiple states and counties—wills, estates, chancery records, newspaper articles, supreme court records, and more—the story has finally crystalized. However, additional records remain to be collected to fully document Moses Newsom’s legacy. What were the names of Joel Newsom’s heirs in the case against Abraham R. Colwell? What did they receive as a settlement in this case and did they inherit other monies? My daughter is a direct descendant of Turner Byrd,Sr. born, say 1804 in Northampton l, North Carolina to Wiley Byrd, son of Moses Byrd. Turner was living in Logan, Co. Ohio and later became an Elder and minister of Chain Lake Baptist Chu.rch in Cassapolis, MI. Where many of both you and my daughter’s relatives migrated to in the 1830s-1850s. I am curious to know it JUDITH NEWSOME was the MOTHER of aforementioned TURNER BYRD, Sr. named in the lawsuit. We have been trying to establish who Turners mother was for over 12 years now. Thank you so kindly with any genealogical help. I am so excited to connect with you! I have been researching the family of Moses Newsom for a little while and there is quite a complex set of records. I have partnered with the Logan County Genealogical Society to collect information but there is still so much I need to search for in person. Do you live there? Thank you for all the extensive research, and rhis amazing website. No, I’m not in Ohio, but I too am researching abolitionist era free person’s of color. I am in the Indiana, Michigan, Illinois region. My daughter is direct descendant of the Allen,Byrd, Iven, Walden, Stewart, Pettiford families that left, primarily Northampton, & Granville Counties North Carolina, and Southampton & Goochland, Counties Virginia in the 1820-30s for Ohio, Indiana in 1830-40s, later Cassopolis, Michigan in 1840s-present. 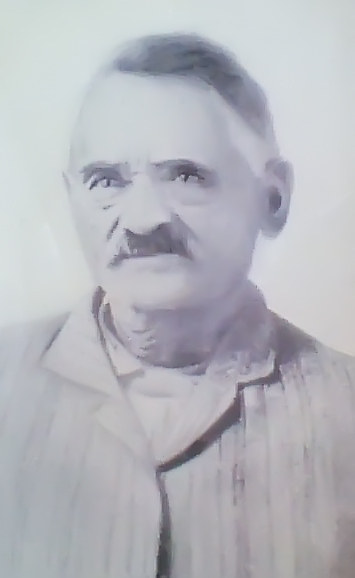 Turner Byrd, Sr. was the son of Wiley Byrd and grand son of Revolutionary War veteran Moses Byrd. Turner’ s mother has been an enigma to family genealogist. I believe Judith Newsome to be his mother, personal the Ohio Chauncery Case, where he was included in the suit by Mr. Newsome. Hello Nikki, I ran across you site in searching the Newsoms in my family. I had been stuck for so long not knowing where in N.C. this line was from. My ancestors were Darius and Isaiah Newsome from Logan County, OH. I met a lady on Ancestry from another branch of the Newsoms thru a DNA test; she told me her line was from Northampton County. I found your site while focusing my search in Northampton. From the information in the “History of Logan County and Ohio” I was able to find a reference to Darius, my 3rd GG and his grandfather Henry. With that information I could have possibly found a viable link back to Moses & Judah Newsom with the information and links on your site. I want to thank you for publishing your research.